PagerDuty is an end-to-end incident management and response platform that provides developers, IT operations, and business stakeholders the insights they need to resolve and prevent business-impacting incidents quickly. PagerDuty makes it easy to monitor your infrastructure, set up on-call schedules, establish escalation policies, create automated workflows, and alert the right people at the right time. Integration feature with our existing corporate apps. Automated acknowledgement and resolution if required. No worry for missing any incident. Repeat Acknowledgement for services - Though this can be modified in settings, but was wondering, if someone has acknowledged it once , why does that acknowledgement times out? Easy to use once you know this tool. Incident management, Realized Benefits - able to remove human interference. Received automated calls. No baby sitting. "The core of our operational support processes"
The flexibility of the platform to meet a variety of alerting use cases across our business. The UX is clean and relatively easy to follow even for what is a kind of complex and feature rich system. The ability of the system to reduce the noise for incident responders. The simple setup of automated escalation policies. Take a moment to think about event & incident flows, and the taxonomy of your services. A little bit of time upfront can save a fair bit of frustration and rework once you know more. PagerDuty lets us provide 24x7 support coverage without having the scale required to run a fully staffed 24x7 NOC. It ensures that we are on top of incidents before they are reported to us by customers, leading to increased customer satisfaction. "The Gold Standard in On-Call Alerting"
Pagerduty is stable, feature-rich, and dependable. All of our other monitoring services have direct integrations with pagerduty, and there's great things like the ability to page through Slack or Email which are crucial for our workflows. Pagerduty's API is incredibly cryptic until you've gotten a hold of the ideas. More/better documentation could help, third-party libraries also fill in a lot of the blanks. Try it, it's 100% worth it and solves our on-call alerting needs. We've not ever been impacted by an outage (though like any service, they've had some, they're short and information is quickly shared). We use PagerDuty to alert on-call engineers about incidents so that they can respond 24/7 to keep our system online. Event rollups and integrations are crucial to keeping the false-alert volume low. What Incident Management solution do you use? Pagerduty integrates easily with various network monitoring software and provides us with the ability to be responsive reducing down time. The dashboard is simply and easy to navigate, providing a single pane of glass for you to see what's going on in the network. Configuring schedules is also straightforward and provide flexibility to be as granular as you need. Well there is an extensive documentation library to help you get started, the tool can be a bit difficult to learn. In my experience, once you are past the initial curve, customization and configuration is a breeze. I'd also add that the API and Notification outages are an issue. These outages have been rare but it's a good idea to sign up for alerts from the PagerDuty support site to get alerted so that you are able to notify your team if alerts are impacted. I'd recommend ensure that your alerts within your monitor systems are simplified but detailed. Pagerduty does a wonderful job of sending alerts as needed but you want to make sure you are receiving quality alerts. I'd also recommend taking the time to learn the tool. As I mentioned above, PD offers a high level of customization, take the time to review documentation and play around with the tool before going on call officially. The major benefit is reduction in downtime. Teams are able to be more responsive to outages whereas in the past, notification emails from our monitoring systems may have gone unnoticed. This allow us to maintain a high SLA and resolve issues in a timely manner. "Amazingly useful tool to handle emergency broadcasts"
Pagerduty allows you to divide people into separate groups, so that if the severity incident is something related to a specific group, it is not necessary to trigger it for everyone. It also allows for escalation and "on-call" duties per week - this is extremely useful, as nowadays our helpdesk team does not even need to call us personally, since Pagerduty handles everything on its own and always knows who's on call. I don't think this is entirely related to Pager Duty in itself, but to our own current infrastructure. The alert emails seem to be sent out to everyone (included the pager duty account, which triggers pager duty in itself). Thus, any subsequent email in the email chain may end up creating a different alert for pager duty. Set everything up correctly from the start! Consider the type of alerts you need. For myself, it is extremely useful to set ALL alerts (SMS, Calls, Email), as it may be easier for me to look at my phone if everything's going haywire. Our company provides a high availability solution for our customer. Pager Duty allows us to get all necessary hands as quickly as possible whenever an issue arises. This has also leveraged our helpdesk team's need to call development, DBA, etc, on their own, as they may sometimes not know entirely who's on call. Triggering an alert on pager duty is more than enough. As a member of the dev group, if you get an alert and you are on call but not available, it is easy to escalate to the next dev on the line - without having to personally call them. "Simple to set up, awesome integrations, and just works"
PagerDuty enables your team to setup alerts, on call schedules, escalation paths, run books, and everything you could need to provide themselves with meaningful realtime alerting. Most service offer some way to integrate with PagerDuty, and if they do not you can use their REST API to integrate on your own. Having the ability to be alerted via text, phone, slack, web app, desktop app, chrome plugin, etc. is invaluable when on call. Not much. Make sure when you are doing work you set up maintenance windows so you do not accidentally spam your team. Also make sure you have a way to auto resolve probes if they fail or else you may see your voicemail inbox get filled up pretty quickly. Make sure that you setup maintenance windows and that your integrations support auto resolve. It is nice to not have to do something because an alert was updated due to it already fixing itself. Take some time to set up run books for people who are on call. You can link the run book urls right in the body of the alert so your team can take the appropriate action. Being on call is not easy, but with PagerDuty you can empower your team to set up sensible alerts and react to them when they are triggered. It also helps teams mature as once you support your own software you become more aware of what kinds of important issues exist and need to be solved. We like the cloud base service for alerting and incident management, the alert calling features, all of the integrations and escalation management. The AWS Cloudwatch integration works but when you receive a call about a say a SQS queue threshold, what the pager duty call will read back to you is the title of the monitor which typically is very cryptic. No brainer. Ghost Inspector should be part of everyone's monitoring stack. Calling the right company resources when there are system alerts. Providing a single place to look to see incidents occurring across all of our monitoring solutions. A low cost solution for a company our size. "We are using PagerDuty, because of this we have an eye on our servers all the time." We are using PagerDuty to monitor our servers like HTTP 5XX, 4XX, CPU Utilization, Memory Utilization, Disk Space Utilization. We are using PagerDuty, because of this we have an eye on our servers all the time. I couldn't find any issue with PagerDuty. PagerDuty is good tool, that you can use to monitor things. We are using PagerDuty to monitor our servers like HTTP 5XX, 4XX, CPU Utilization, Memory Utilization, Disk Space Utilization. We are using PagerDuty, because of this we have an eye on our servers all the time. "Good alerting solution with strong integrations"
We're primarily using PagerDuty as a notification medium and Live Call Routing solution. It excels at both of these functions and integrates well with our ITSM (ServiceNow). It offers a diverse array of methods for injesting alerts and integrates with awide array of platforms, something that has been beneficial and minmiezed concern when selecting new services as the integrations have generally been avaliable or easy to add. Not a good pricing model for our use case, we had to upgrade to a higher plan to get a limited number of features we actually needed. Overall this is a reliable solution that filled a need. 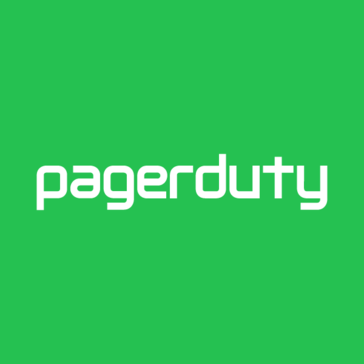 PagerDuty manages our on-call rotation, emergency alerts, and live call routing for critical customer support calls. We rely on it to maintain our SLAs to our customers and to process and distribute all alerting for our cloud environments. It's hard to pick one thing. Everyone at the company is very supportive and the product is awesome and continues to grow with features, so much so that it's almost outgrow it's name (though I recommend not changing it). It way more that a notification tool, its and event correlation tool, notification tool, Incident Management tool and so much more. Admin reporting, though the support staff are quick to run user reports for you, it would be more useful it I could run my own reporting. Though I'm sure I can create my own reports through the robust API. Consider a PagerDuty owned and develop customer Status Page. There are products out there already but I feel PagerDuty could not a much better job that the products already on the market. I rather have all my notifications coming from the same tool. "PagerDuty is reliable, albeit slightly convoluted at times." After using PagerDuty at multiple companies for several years, I can honestly say I don't believe I've ever experienced a missed notification. It's quite reliable, and the having the API is extremely useful. The way the schedules / services / escalation policies / etc is structured can be a little convoluted at times, and sometimes results in the need for rather complex configurations to accomplish some fairly common schedules. The API also returns unexpected results, for instance setting certain constraints (escalation policy for example) will return results from other escalations as well, and I'm not entirely sure what is going on. I end up doing more filtering on the client end, which I think shouldn't be necessary. Setup and configuration can take some time, especially if you have large numbers of teams, any sort of complex schedules, etc. If you rely heavily on API use, it is there and fully featured, but the caveats are query constraints sometimes don't constrain as much as one would hope / expect, so just be aware when working with the API. Overall though, very solid service, and in my person experience of over 5 years as a customer, it's been extremely reliable. I've relied on it for notifications of problems with live production services, and it's never failed to deliver a notification, never had any issues in that area at all. In my opinion, the reliability of notification is the thing that makes this service the only one to use if you have a serious production service for which you can NOT afford to miss a page. Obviously service outage notifications. Also with use of the API we are able to get good data on our outage metrics. "The best on-call paging solution on the market!" The flexibility in scheduling, reliability of the service, and all of the fantastic documentation and examples for their API. It has allowed us to roll out our own internal tools for Pagerduty as well as integrate it into our ticketing software. Go for it, you'll wonder how you ever got anything paged out without it. Greatly simplified our on-call systems and made it so we can sleep easy, knowing all problems are paged out to our techs. The benefits include time and money savings, as well as greater reliability in our company as no tickets slip through the cracks. "Can it even get better?" What I like is that it always works. We have never had an issue with a missed page. We are able to filter messages and create schedules that we never have to update or check on unless someone is on vacation. When that does happen, create a temporary schedule override is super easy. We thought we might have an issue with a customer changing their delivery method which might have meant we could not use PagerDuty for them any more. It was a sad day when we realized and luckily it all worked out that were able to keep using it for them. I wish we could create overrides in the mobile app. Also, I cannot figure out how to filter just my alerts using the PagerDuty Chrome extension...which is super handy by the way. We are able to efficiently manage notifications from internal and external sources and know they are going to right person at the right time for fast attention and resolution. "Pager Duty makes devops monitoring and alertings great to use"
PagerDuty has a ton of options to customize and set up your alerting needs. We use the built in AWS CloudWatch integration to trigger alerts based on our performance and health monitors, and we've been able to catch and fix problems before our users noticed anything was wrong. We can set up on call rotations and tiered levels of paging which is great for managing high-availability services and keeping team members sane. We monitor several key aspects of our software using AWS. Things like latency, fatals, and health checks. Using Cloudwatch alarms integrated with PagerDuty, our on-call team member is notified as soon as an issue is detected and we can get the solution resolved quickly. Most of the time, we have a problem fixed before the first user reports can come in. "The one thing that needs to Just Work all the time does its job"
First and foremost the quality of service is the highest among any Saas product I have ever used. Next, the integrations are easy to use. We send PagerDuty alerts to and from a myriad of sources, and they're all pretty easy to set up. The escalations and overrides UX is really intuitive and powerful. PagerDuty was down for some time in October 2016 during the massive DDOS attack on Dyn. Granted- much of the rest of the internet was also down. We often have multiple alerts that get triggered at once- different views into the same problem. Sometimes the iOS app can get very noisy when there is a lot going on. This likely does what you want it to do. I've used this at very small and very big companies. PagerDuty allows us to keep our quality of service very high by providing tools we would have needed to build ourselves. These tools involve managing on-call rotations and overrides. Integrating different monitoring systems into one notification system. "Trusted Partner and Invaluable Resource"
PagerDuty works perfectly every time. The process is fairly simple, but the flexibility is almost limitless. We reviewed other alert monitoring system in the past, but none of them were able to handle the really complex on-call schedules. PagerDuty blows the rest away. Although priced competitively, when you consider their competition, our costs over the past 3 years have increased by 85%. I think of PagerDuty as a hammer. A hammer has one job, and it does a great job at it. This is very similar to PagerDuty. It's job is to alert the correct on-call resource as quickly as possible, and it does it perfectly every time. We needed to notify or alert the correct technical on-call people, as quickly as possible. We wanted to feel monitoring data to an automated system that could read an on-call schedule, and take the correct action. Before PagerDuty, we used a 24x7 NOC. With more than 40 on-call teams, and close to 400 on-call resources, our NOC would often struggle to alert the correct resource. This led to resources being woken up at in appropriate times and overall technical resource dissatisfaction. With PagerDuty's help, we were able to completely eliminate the 24x7 NOC, saving the company more than $600,000 annually. "Highly reliable solution for monitoring production systems"
- Love the UI interface with Incidents clearly categorized in different buckets. Rather than stating a specific dislike, I would like to suggest that there be a smart time-zone based scheduling page so that teams that are geographically distributed can make the best utilization of their day-time. For example: A person working out of germany can be on-call during his/her day-time and their counterpart in the US can be on-call for the remaining time etc..
We use pagerduty to proactively alert engineers who are on-call during that time if there are high failure rates, retries, unusual behavior reported by apps running in the cloud. Its highly beneficial when we can discover and fix issues/bugs in production systems well ahead of users seeing them! "Great Platform for Support Channel Management"
The on-call timeline could be better designed. I would prefer to see some sort of calendar view over the current vertical timeline. We are using PagerDuty to manage on-call support schedules and manage outreach strategy during outage incidents. We are seeing efficiency gains from multiple perspectives. Quicker first response time, streamlined communication between channels and less time spent managing support schedules. "Makes team on call/observatory more easier "
The flexibility in scheduling, the reliability of the service, and all of the fantastic documentation and examples for their API. reports are very straightforward and easy to understand. I wish we could share the duty with office calendar. It will be cool if it can be super easy to share the calendar with different organization too. IT takes a bit of learning and can be unintuitive at first, but once you understand how they work they make a lot of sense. We easily able to rotate our team between different regions. Things like latency, fatals, and health checks. Most of the time, we have a problem fixed before the first user reports can come in. "New to the Software-It's great"
The ease of use is far and away the best portion for us. Manually overriding schedules from the app is great. We have been using the software for several months now and I don't see us moving away from it. Well done. After 8 weeks of personal use, I have no complaints. It's a great easy to use software. Give it a shot. Our team creates and supports software. This one is a winner. We needed supervisory staff to be reachable at all hours. This software accommodates that need beautifully. How easy it is to integrate with AWS. I wish the application was a bit more friendly to use. A small change would be going back by sliding right on the screen. I have accidentally resolved alerts that way and it is a hassle having to deal with that. Being able to integrate multiple AWS environments into PagerDuty is very easy to use and manage. Also it is very easy to set alarms on AWS to integrate PagerDuty to alert the team. Before PagerDuty, the team had to check on CloudWatch for any alerts and then escalate. But with PagerDuty, the team gets an email, the phone goes off, and the proper administrators are informed for each infrastructure. "Once in a while if job fails call gets missed , but not that often." "One stop shop for on-call notifications"
PagerDuty has a wide range of integrations including everything from Cloudwatch integrations to New Relic to basic email. The high and low priority alerting rules are great for differentiating between alerts that require immediate response. There is no facility to handle SNMP events. Relatively expensive if you need things like incident priorities (high/low priority). For example, high/low priority alerts require an upgraded plan. Do a full evaluation between PagerDuty and their competitors (e.g. OpsGenie). If your alerting needs are basic, your requirements may be satisfied with a less expensive product especially if you do not need high/low priorities. Allows on-call personnel to set and create their own notification rules. Centralized alerting for on-call personnel. Separate escalation policies allow customized notification policies for different applications. PagerDuty also acts as a source of truth since it shows provides a time-stamped incident log. "PagerDuty makes us look good"
Quick and reliable alarms when urgent tickets are raised, no matter where we are. A lack of consistent SMS and Source Phone number for New Zealand. On-Call staff notifications via iPhone push notification, and phone call for urgent server monitoring alarms. The ability to rotate calls between staff is fantastic — if our primary on call staffer doesn't acknowledge an alarm for whatever reason, we can be sure someone on the roster will get the alarm. We use the Slack integration heavily and can easily keep track of exactly how long it takes to respond and resolve an incident, and have been able to use these metrics to significantly improve our response and resolution times. I'd like the dashboard looks, simple and basic to navigate, great on-line chat/email support and has documentation on-line that you can refer. It is simply the best scheduling tool for IT professionals. Keep it up PagerDuty Team. I haven't find to dislike the product as it is great tool that we are currently have, it makes our support more responsive than before, business is happy when things get fix in timely manner. it might be useful to have one of this tool that will help you to achieve your business agility when it comes to support. Mostly incidents and IT issues, it just works when you need someone to get page the right resources that you need. "Managing Alert in Proper Manner"
1. SMS,Mail,Voice Notification for Incident. 2.Tracking of each individual who attend call who not attend . 3. Excellent Platform to manage escalations metrics. 1. Backed API supportive documents needs to be revamped. 2. Output of each API is in standard format not like currently we had separate response for each api..
3. Support should be available 24X7 not getting response in IST as of now. API documentation must need to revamped. 2. All issue can be resolved in minimum TAT. PagerDuty is reliable; reliability is particularly important for a product like this. PagerDuty integrates with all of the other monitoring tools we use. Integrations are simple and well-documented. The on-call scheduling features are great. PagerDuty is not the prettiest, and the UI is sometimes confusing. This is exacerbated by the fact that you (hopefully) won't be using the UI often enough to remember where all of the configuration options are hidden. PagerDuty is reliable; you can be confident that PagerDuty will notify you when you should be notified. We use PagerDuty to notify the team when our software is down or degraded. Integrating such notification features with monitoring tools is not trivial; that saves us engineering time. "PagerDuty is a must-have tool for todays DevOps"
Structured way to define services, on-call schedule and policies which fits into our work. And a lot of existing services can integrate with pagerduty already, which makes our life even easier. Since pagerduty is a US company, its existing pricing model is US centric. As a non-US company, we hope its pricing schedule can more more friendly for non-US companies in areas like international sms and international phone calls. We are internet services company, so we use PD to solve on-call scheduling and alerting feature. User experience, Web interface, Easy to manage, flexible. the automatic call english accent could be made more clear. There should be an option to categorize messages and alerts in a more efficient way. Whether you are a DevOps or Software Engineer, PagerDuty will monitor your product actively and will send you right alerts at right time. It helps us to resolve issues quickly, right when the incident occurs. We use it actively to provide our end users 24/7 uptime. "Never miss an issue again"
It's reliable, you can get alerts through multiple channels and you can do on-call scheduling, escalation and routing. Lovely. It's also dogged at chasing you if you don't acknowledge an alert. Cost increases quite quickly when you get more people onboard. Consider what type of alerting you want (there are other solutions for less money), what channels you need (PagerDuty has all that I can think of) and how you need to control alerts. We needed a way to be alerted, at any time of day, reliably, no matter if we were at our desks or not. Emails are not visible enough and we found SMS to not be reliable from our own system. PagerDuty solves all of these issues. "Great Product to work with. Met our requirements for Alerting and SLA enforcement." customizations are sometimes a bit tricky depending on the scenario. With third party integration I've found it a challenge to avoid a second call alert once the problem was resolved and the monitor reports back success. also with email customizations it's much more difficult to customized avoidance of multiple incident creation. However this isn't so much an issue with the product but the scenario we have to use with this particular notification we receive. Pager Duty resolves a fundamental on-call SLA requirement we have with several customers. with multiple escalations it's nice that we can modify the escalation base on client so we can serve multiple SLA requirements. it's a great feature to bump the incident to the next available staff in order to ensure we are meeting strict SLA if the main on-call agent isn't capable of dealing with the problem in a timely matter. "Team lead managing on call rotations"
PagerDuty makes it a breeze to manage on call rotations, including rescheduling when people go on vacation or join/leave the team. Having set it up I basically never have to look at it until a person joins the team (YAY!) or a person leaves (NOOOO!!!!). I get notifications who is rotating on and off duty. I have inputs from a bunch of different locations fed into PagerDuty and it was easy to setup up for all of them. The mobile app is also great! There's only one feature I'd really like out of PagerDuty and that's the ability to schedule multiple team members as if they were one person. This comes up every time a new team member joins as we'd like their first couple of on calls to be paired with somebody that knows what they're doing. I'd also like the mobile app to show who is on duty for a given rotation. Other than that (and we manage to work around that fine), I have no complaints. If you're not using PagerDuty, you should be. Our servers are generally very stable but it's good to know that we will get rapid notifications if any problems begin to emerge so we can coordinate a quick response. pagerduty is super easy to use. When an incident happens, I get a text message and I can quickly respond to the message. It integrates with most tools I use so I can get notification in one place. pagerduty is a solid product. I dont have anything that I dislike about it. "If something breaks, PagerDuty lets you know." Every time a service goes down or an application, or even hard down of servers, PagerDuty would inform you right away. This is very helpful for large-scale businesses as it helps you minimize financial loses since you are informed of possible outages before your customer even notices. The only thing I don't like about it is that you would be notified even after office hours specially if you are assigned to get PagerDuty during those hours. Who would want to get up late at night and receive notifications that your system is down, right? If you need a very reliable monitoring tool, then get this product. We are monitoring system health of our servers and making sure that all our applications and services are running. This has been very beneficial for us simply because we are notified is a specific service is not running, this way, we could inform system owners and they could start troubleshooting right away. "Alerts and notifications Management contributing resource management"
Amazingly simplified our on-call systems and made it, knowing all problems alerts and notifications are paged out to our techs. efficiently manage notifications from internal and external sources in a timely manner and helping to manage resource. Simplified in monitor several key aspects of our software using AWS. Things like latency, fatals, and health checks. Using Cloud watch alarms integrated server notifications.Amazingly simplified our on-call systems and made it, knowing all problems alerts and notifications are paged out to our techs. efficiently manage notifications from internal and external sources in a timely manner and helping to manage resource. "PagerDuty as an alerting tool"
The automation and customization capabilities are top notch. It's very easy to create multiple layers of schedules for not just your team members, but also multiple teams. Nothing really. This application provides everything an enterprise needs to easily manage and deliver notifications. Figure out the different escalation layers. It's very easy to setup and forget. If any ad-hock changes are required, you can easily override the existing schedule. Our industry deals with 24x7 customer support. However, our support staff is localized in the USA only. So, PagerDuty provides us an easy way to alert our support staff based on their skill set and customer needs. "PagerDuty is one of the most critical pieces of our infrastructure"
We have really appreciated the bulletproof reliability. Since PagerDuty is the last piece in the chain that alerts our staff of critical support and production issues, reliability is essential. Sometimes the UI is a bit confusing, otherwise it is super easy to use. Notify on-call support and SRE teams of critical issues. "Setup paging for my team"
Easy to setup and change quickly. Good UX and fast. Terminology is confusing. If I did not have an example of another team's setup, I'd be lost. Wish I did not have to ack or resolve all alerts. I needed to setup alerting for all of our systems that are just about to go up. I needed to integrate it with NewRelic, email, and slack. It works! "It has been easy and comfortable using Pagerduty." The best thing is we can easily accept the ticket without any hassle and all the comments which we add over ticket about the status, is sent to the concerned people looped in there. The ticket is easily transferred to any colleague of mine in case I am leaving from the shift. I haven't found anything to dislike here. I work on database front. So in case any E-down occurs in any environment, pagerduty sends email, messages over the phone for same. It helps us to get the concerned people names and certainly resolves the waste of time to reach them at different times. We just have to update the status in pagerduty. Even if I am not online, any E-down will send me message over the phone and I can get my laptop right then. "Assigning incidents to right people at right time"
A powerful alerting mechanism helps quickly connect security incidents and outages to right people. I love the way it is designed to escalate incidents to people at many levels. It guarantees that an incident must be notified to at least a right person. In the case where a person answers "Acknowledged", I would like it to have an easier way to temporarily turn off repeated alerts. We are in cloud services business. Any application and/or cloud service that is down for a long time can cause customers and revenue loss. So PagerDuty is a too important tool to us. "Simple and Clean solution to sort through the noise"
Simple and clean interface for receiving and triggering pages. We use a myriad of different systems to trigger pages and operationally it is very easy to use. I love being able to follow an audit trail of when a page is triggered until the moment is resolved and by whom. On a rare occasion it seems the Pagerduty has a tough time with extreme volume of pages being triggered by us. This causes the system to backup and not fire off as needed or expected. We don't have any system to fire pages directly to individuals, this is not often needed, but when its needed its a pain to workaround. Setting up on-call schedules for dynamic shift teams is a pain. Small to medium sized companies who don't want to create your own in-house system for paging may find this to be a helpful tool. As scale increases, PD can show occasional signs of struggle. Day-to-day, I have no issues with the software and enjoy interacting with it. Operationally, we use Pagerduty to control the flood of information relating to our servers and email. As opposed to other systems I have used, Pagerduty is the least convoluted and easiest to use. Being able to aggregate all our noise into one system has helped tremendously in being able to manage our many systems and software. I love the amount of stuff that pagerduty can do. I like the scheduling, being able to edit it very easily. What I like most is the live chat. Very informative, kind, and quick response time. I think the layout could be a little more user friendly. It seemed like I had to investigate too much in order to find things that I needed. I am currently using it for debugging. The benefit is that I can link it to our chat channel, and be instantly notified if something is going wrong so that I can fix it promptly. "Make your Alerts more Actionable with PagerDuty"
Pagerduty collects alerts centrally, so that they do not need to be distributed to the e-mail inboxes of every team member anymore. The ability to search through past incidents for keywords is limited. A great solution for centrally managing alerts for multiple business units and/or locations. Before using pagerduty, the entire team received every alert in e-mail all the time. It was unclear who was working on what and large incidents would flood our inboxes. With pagerduty the alerts are organized into services that clearly show which incidents have been acknowledged. With intelligent alert grouping we are able to group alerts together that relate to a common incident which leads to better problem management, faster MTTR and a happier, more productive operations team. "Good and no complaints so far"
It had been working fine. Never missed a call. I could set up my rule to call me a second time after 5 min interval. I also set it up to send a text with the case number. I have all the features that I want. There is nothing that I dislike about it and so far no complaints. ThoughtSpot Technical Support in a Systems Reliability engineering role. It has been working fine and so far no complaints. I love that I can Ack new pages right from my Apple Watch, and I can handle everything else on my iPhone. It's super simple, and it's great how easy it is to change how you receive alerts. I would like to be able to resolve pages from my wrist; hopefully that's a feature that's coming soon. When we're on call, we don't have to constantly monitor our email for voicemails. Instead, PagerDuty will keep alerting me until I Ack the new page. This makes being on-call a lot easier. notification settings that allow me to configure different types of notifications triggered in different times. mobile application that I can ack the alerts. desktop UI is easy to use. if I get a new phone then notifications don't come and I had to uninstall and install the app again. sometimes desktop app gets a bit slower and it took sometime to load / refresh the main page. If I ack the alerts on mobile app and checked the status on desktop app right after then the status has not been reflected. loading analytics page takes sometime and sometime it fails to load the page. make the out product more stable and robust and with pager duty I have been able to react abnormal behavior quickly and reduced the impact to the system. "Good Experience with Pager Duty"
The best thing i liked so far while using pager dury is the UI which is self learning platform for any individual respective of there backgorund. I had just awesome one month experience ,one suggestion is PD can have some sort of correlation between the alerts saying these are dedup . In the current company ,we use it for alerts monitoring and set PD call/sms/email basing on severity of alert. I am part of development and production support. Integrated with appadynamics, splunk and AWS. it works great . it helps us to resolve issues faster and keep track of the issues managed. "PagerDuty listens to feedback, and has great insight to on-call concerns within the industry." Reliable service, clean API, and numerous integrations. Analytics tools still need work, however we are working with PagerDuty on this and they are listening to our feedback. Make sure the right people know about issues when they are happening. We have reduced incident volume by 90% since introducing PagerDuty to the team. "Our tool for On-Call team"
2. Agile scheduling for the team, e.g. overriding one person schedule to substitute for some period of time helps to keep the whole schedule as it is. 3. Agile escalation policy - multiple levels save us if on-call person is not reachable for some reason. Not much to say here. It just works and does its job well. Our on-call team gets notified immediately if any of our monitoring probes fails, so we keep our eyes on our service 24/7. "Great service if you put time into customizing it." I like that it allows you to tailor the notifications for your specific use case. I don't like how much the default settings will spam you. If you don't take the time to customize it you will basically just get bombarded with emails, texts, and slack messages. It helps with keeping track of productions processes. * We monitor all PagerDuty reviews to prevent fraudulent reviews and keep review quality high. We do not post reviews by company employees or direct competitors. Validated reviews require the user to submit a screenshot of the product containing their user ID, in order to verify a user is an actual user of the product. Hi there! Are you looking to implement a solution like PagerDuty?